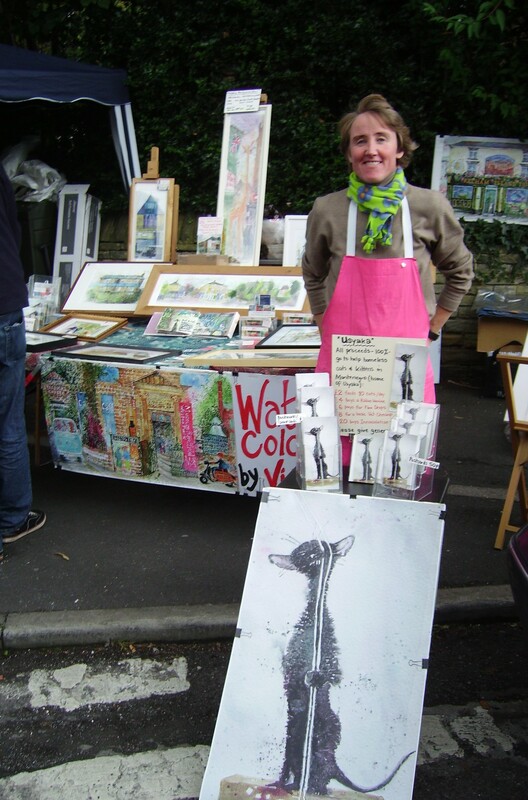 ……yes, this Appeal took off, today, here in Sheffield…..
……as a follower of Usyaka’s blog, earlier this year she inspired me to paint two watercolours – “Usyaka Sharpens Her Nose” and “Taking a Closer Look”. 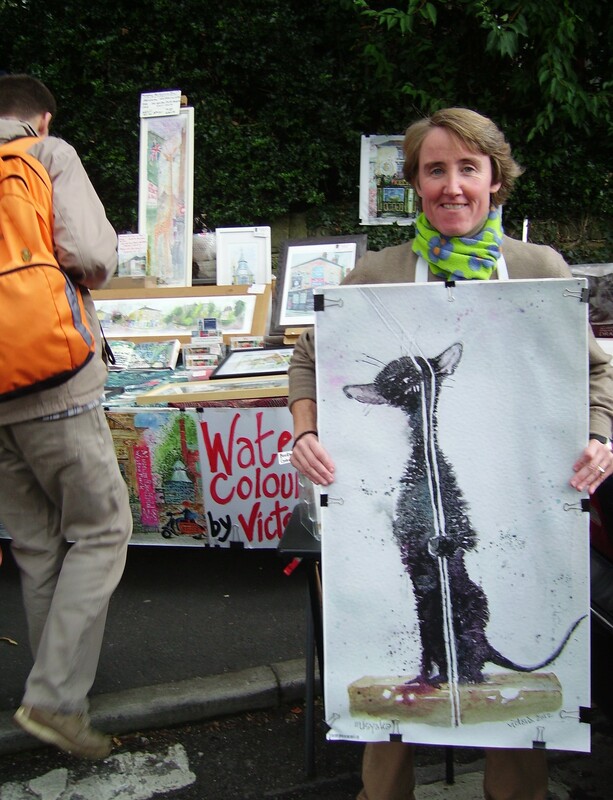 When Alexandra, Usyakas owner revealed that she helps to feed and care for homeless cats and kittens, it seemed that the Usyaka watercolours were meant to help. 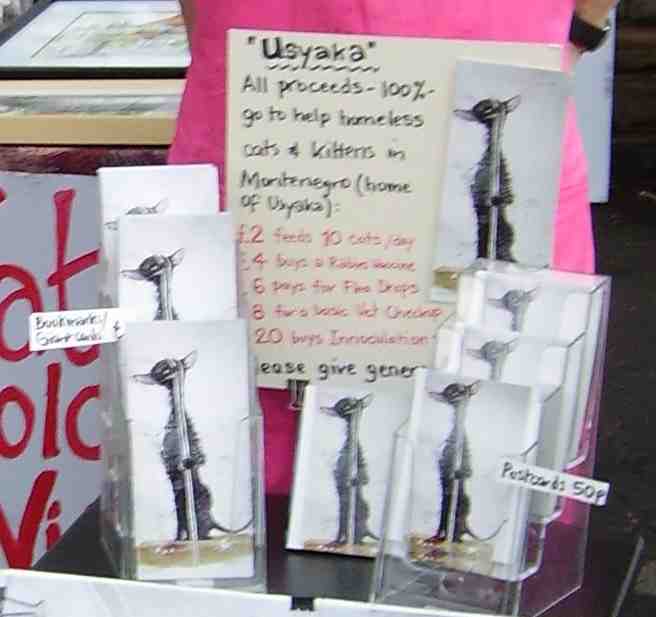 So, to start, postcards and bookmarks featuring “Usyaka Sharpens Her Nose” will be for sale here, with all funds raised – 100% – going to help feral cats & kittens in Montenegro……. This entry was posted in Sheffield - watercolours, Uncategorized and tagged Bookmark, Cat, Montenegro, Nether Edge, Postcard, Sharpen Nose, Sheffield, Shelter, Usyaka, Watercolour. Bookmark the permalink. Pingback: …Launching U.S.A…(Yes, its Usyaka ! !) 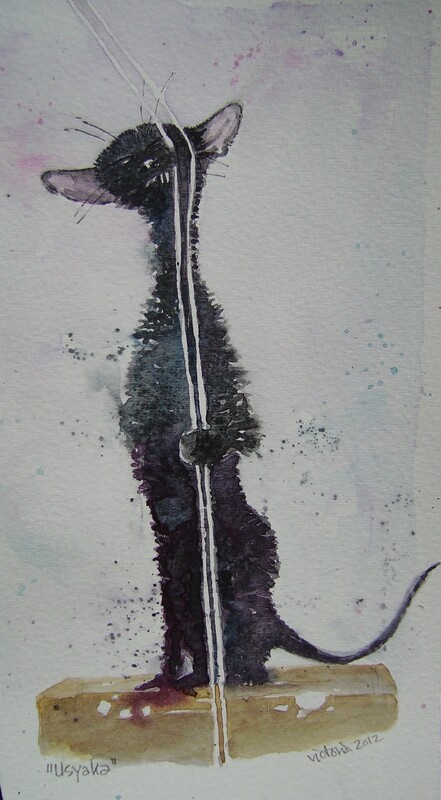 …by Neo Watercolour « Rockin' the Purple!